The islands in the Gulf of Thailand off the coast of Surat Thani and Chumpon provinces have become quite popular among tourists from all walks of life. The biggest of the islands, Samui, has grown from a place where most of the accommodations were simple bungalows with no water and no eletricity to an international resort with the full range of accommodations, although bungalows are still very much in favor. 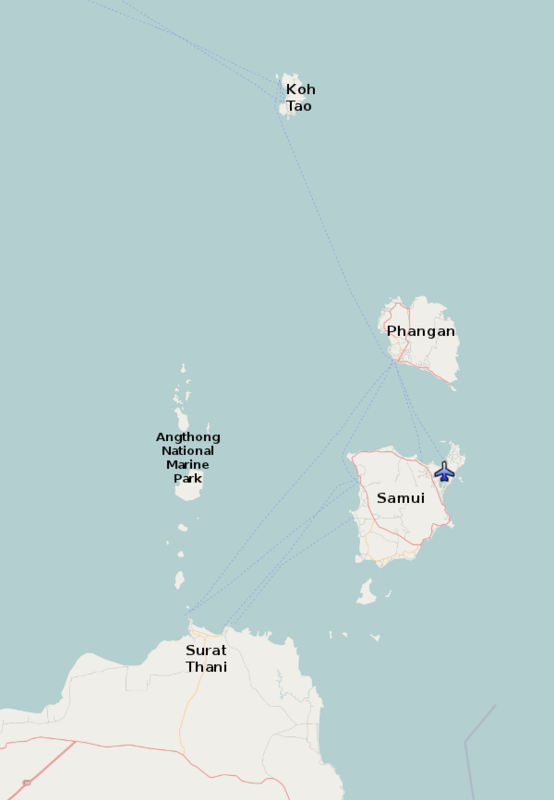 As Samui became more upscale, the backpacker set moved north to the second largest island, Phangan. The scene there is still 'rustic' with few paved roads and many bungalows without electricity or indoor plumbing. The area is popular with divers and has some world class dive sites. There are good sites around both Samui and Pangan, as well as some good sites near Angthong Marine Park, but the most spectacular diving in most people's opinion is around Tao island to the north.